Arvind rub-web controls ltd is wide range of manufacturer, supplier and exporter of Sleeve for Corona treatment machine in ahmedabad, India. Arvind rub-web controls ltd is the renowned manufacturer, supplier and exporter of superior Sleeve for rotogravure printing machine in ahmedabad, India. We are engaged in manufacturing a quality range of Quick Change Sleeve. These are used in replacement of Conventional rollers and are used increasingly throughout the industry. Further, these are offered in various sizes and specifications as per the need of the application and can be bought at market leading prices from us. 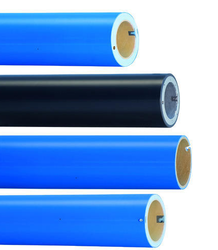 Since inception of converting industry, we are using rollers for all our applications like Rotogravure Printing, Flexographic Printing, Adhesive Lamination, Coating etc. 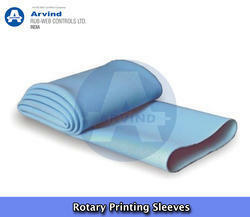 Backed by rich industry experiences; we are highly engaged in offering a premium quality range of Quick Change Sleeve.